New Waterford Girl is a coming-of-age story about Mooney Pottie, a fifteen-year-old girl living in New Waterford on Cape Breton who desperately wants to study art in New York. Her parents think she’d be better off becoming a nurse. Mooney (Liane Balaban in her feature debut) is a thoughtful and intelligent bookworm, a dreamer who is regarded by everyone, including her family, as an oddball and misfit. 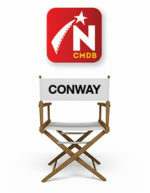 But Mooney is highly perceptive and sees the limitations of this small, conservative town. New Waterford seems full of loser boys and the only way out seems to be to become pregnant. Mooney is befriended by a newcomer to town, Lou (Spencer-Nairn), who has arrived from New York and has inherited her father`s talent as a boxer. Together they come up with a scheme to fake a pregnancy for Mooney and maybe a ticket out of town for a small town girl with big city dreams. 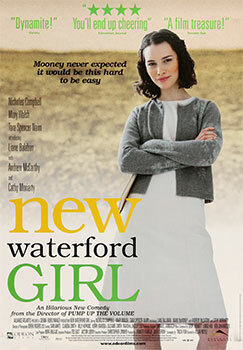 Also see: A review of New Waterford Girl. Trailer and poster courtesy of Alliance Atlantis. Used with permission. The poster was scanned from an original in the Northernstars Collection.